Batman avoids a public unmasking but is unable to bring in the Joker, thanks to the villain's utility belt. 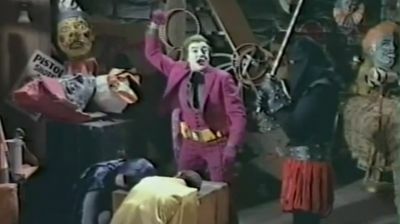 Eventually, Batman and Robin are captured by the Joker's gang. But the Joker doesn't know a showdown with the Dynamic Duo awaits.